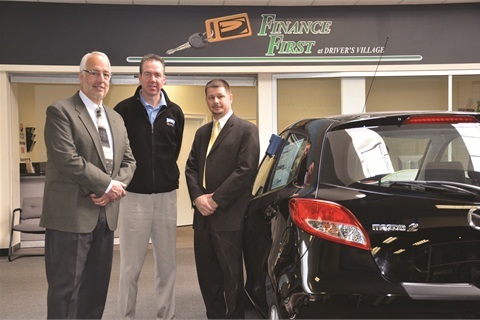 In 2003, Driver’s Village, a family-owned and -operated dealer group in Cicero, N.Y., switched from a traditional finance process to a combined sales-and-F&I approach. The group’s owners made the change in hopes of streamlining operations, meeting customer expectations and improving CSI scores. They also unwittingly chose a side in a debate that has long divided showrooms and F&I offices. 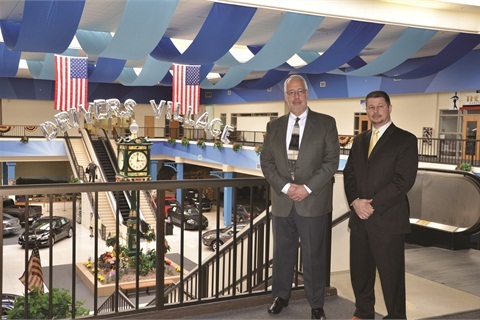 The management team at Driver’s Village, which operates 14 franchises and employs 450 people, made their choice years before the Great Recession, the Internet and Gen Y made speed, transparency and customer service the new pillars of the car-buying experience. 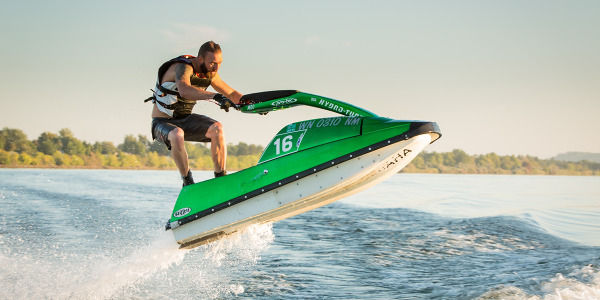 Lou Bregou, a 30-year industry veteran and the group’s director of operations, says the move was made in response to changing consumer preferences, adding that it wasn’t intended to be a statement against the tried-and-true F&I process. The knock on combining the sales and F&I process is that the approach doesn’t lend itself to F&I product sales. Bregou has been with Driver’s Village since 1983, when it was a single-rooftop store. He says he was well aware of that criticism, but he admits he was eager to try it then and remains committed to it today. Bregou says Driver’s Village was simply looking for an edge in its market when management decided to overhaul its sales and F&I process. And that’s exactly what has happened in the 10 years since it started down the hybrid path. But Bregou admits the road to providing customers with a better sales experience did have its obstacles. After purchasing its 90-acre mall complex, Driver’s Village relocated and consolidated its dealerships into a 500-square-foot retail space. 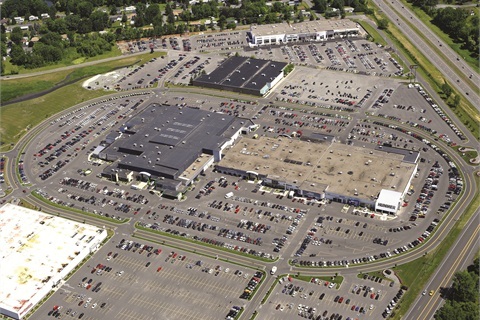 It all started when the group purchased a 90-acre mall complex in Cicero in 2003. During the next three years, the complex was renovated and dealerships were relocated and consolidated into a 500,000-square-foot retail space, a property that also houses a restaurant, a 600-person conference center, an accessory store, three rental car agencies, a driving school and several other retail tenants. Fiorini knew exactly what mistakes to avoid when Bregou asked him to take over and train the sales team. 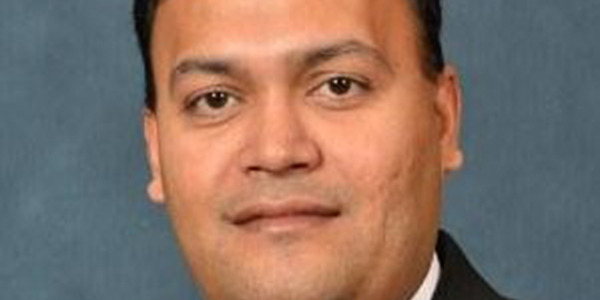 He also had relationships with the group’s salespeople and knew the market; his company is based in nearby Syracuse, N.Y. What he didn’t have was experience implementing a hybrid sales/finance process. “Ninety-five percent of the dealers I work with have traditional F&I managers, but we support whatever system they use,” he says. During the move, the Driver’s Village executive team decided to adopt the hybrid approach for its sales and F&I operations. The plan Bregou and Fiorini drew up was simple: Each franchise would transition to the hybrid process as they moved into the new complex. The sales part of the process would remain unchanged, but the plan did call for the finance portion to be split into three parts. As Bregou notes, the configuration ensures each deal is complete and compliant, while allowing the process to flow seamlessly. 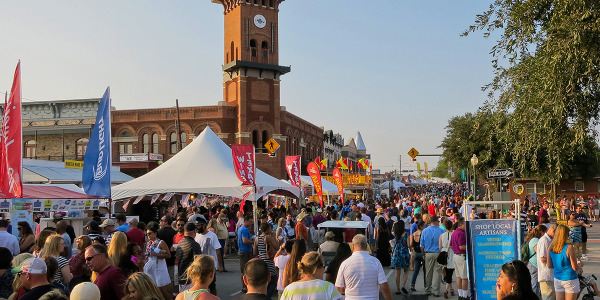 Driver’s Village spent two years transitioning 15 of its 21 franchises to the hybrid process. Bregou manages all 15 hybrid stores, which are owned by Roger Burdick. Burdick’s brother Jon, nephews Dan and Kevin and niece Kelly own the other franchises, which follow the traditional F&I model. To help the Driver’s Village sales team transition to the hybrid process, Fiorini put them through a one-week training program. He opened with a group meeting to introduce the hybrid process, as well as to review and explain the F&I products. He then met with each salesperson to show them how to conduct a menu presentation, as well as answer questions about the finance process. Fiorini continues to coach Driver’s Village’s salespeople by phone, e-mail and in-person visits. The dust began to settle on the dealer group’s process makeover in 2007 and 2008, about the time the Great Recession took hold in the dealership’s market. Car sales took a nosedive and 11 dealerships in the Syracuse area were lost, Bregou recalls. “The big, high-producing F&I stores that specialized in credit-challenged customers got hit the hardest when credit tightened,” he says. 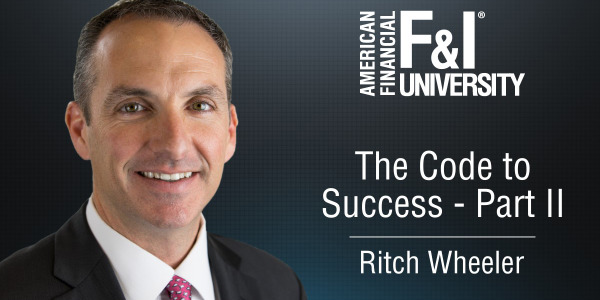 “And many of their F&I managers lost their jobs, while our guys gained some confidence. Leading Driver's Village efforts were Firas Maklouf, CIO, Mike Gould (seated above), director of sales, Dan Fiorini, vice president of Centurion Automotive Products, and Lou Bregou, director of operations. In the last five years, the group’s hybrid approach has driven a $100 increase in average profit per retail unit (PRU), which today stands just south of $600. Combined front and back gross has risen by $100 on 700 new and used units retailed per month. As for acceptance rates, vehicle service contracts are penetrating at a nearly 20 percent rate, while paint, rust and fabric protection are penetrating at a 22 percent clip. Maintenance programs have an 11 percent acceptance rate. 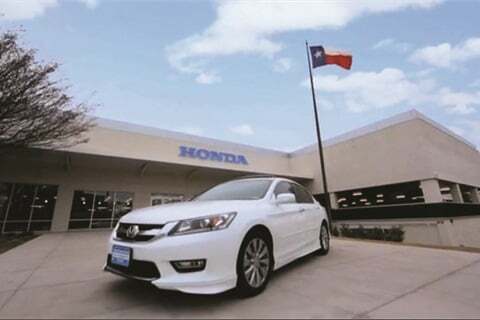 First Texas Honda of Austin is another dealership that has adopted the hybrid approach. Managers there began toying with the idea three years ago after the store switched to a one-price sales model. The dealership already stands out from the rest with its 150,000-square-foot facility, but, like Driver’s Village, its owners were looking for an edge that would appeal to customers. Leading First Texas Honda's effort to a combined F&I-and-sales process was Andrea Baker, the store’s general sales manager. 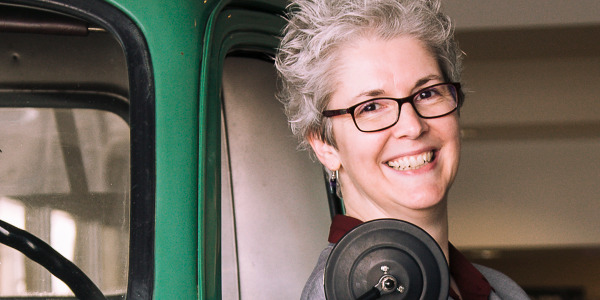 Andrea Baker is a 21-year industry veteran who serves as general sales manager for First Texas. She believes the hybrid process was the next step in the evolution of her 30-year-old dealership, which was the first Honda store erected in Texas. Fueling that belief is the Internet and Generation Y.
Baker was introduced to the one-price model and the hybrid process by The Rikess Group, a Los Angeles-based retail automotive consulting and training organization that helped First Texas implement the no-haggle sales approach. 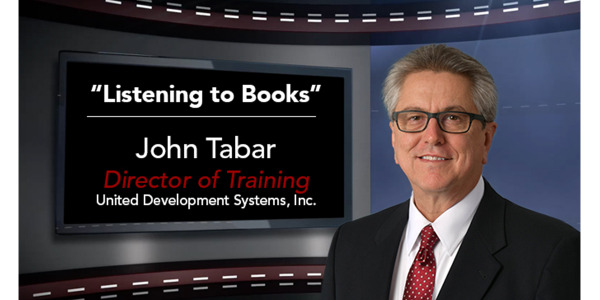 The firm then recommended the hybrid sales-and-finance process, but, like Driver’s Village, finding someone to help design and train salespeople on the process wasn’t easy. First Texas Honda began toying with the idea of moving to a combined F&I-and-sales process three years ago after it switched to a one-price sales model. The hybrid process First Texas landed on was also very similar to the one Driver’s Village installed in that it involved a three-part procedure: A salesperson is responsible for selling the vehicle and F&I products, a finance director is responsible for funding and a document processor handles the printing and signing of the contract and other related documents. 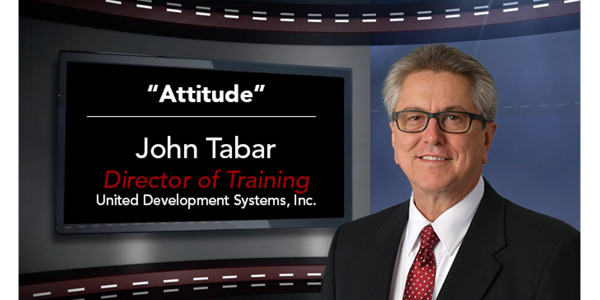 Speaking at Industry Summit 2012, Tony Dupaquier helped design the hybrid process employed at First Texas Honda. So far, the approach has driven a $200 increase in F&I profit per retail unit. Not all salespeople at First Texas are trained on the hybrid process. 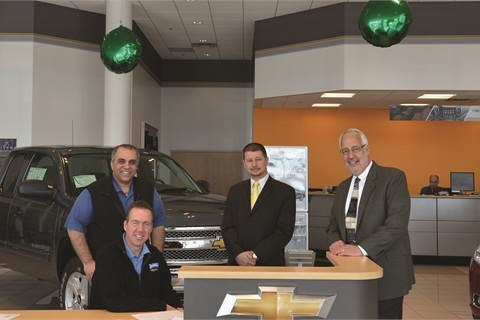 Currently, the dealership employs 36 product specialists that operate as traditional salespeople. There are also 15 hybrid salespeople, also known as elite product specialists (EPS). All EPSs receive 20 hours of in-store training. They also attend five-day F&I school at the ATA’s F&I University. Dupaquier also spends one week per month at the dealership training and supporting staff. He’ll use that time to review transactions recorded by the dealership’s video system, as well as offer coaching on the basics of overcoming objections, presenting products and making proper disclosures. Baker says it took one year for the dealership to stabilize under the one-price model and the hybrid process. She says the main reason EPSs are effective at selling both the car and F&I products is because they are able to fully understand their customers’ driving habits and plans. “They know the total ownership experience,” she says. Vehicle service contracts are penetrating at a rate of 49 percent. GAP penetrates at a 40 percent clip, while acceptance rates for credit life and disability clock in at 20 percent. 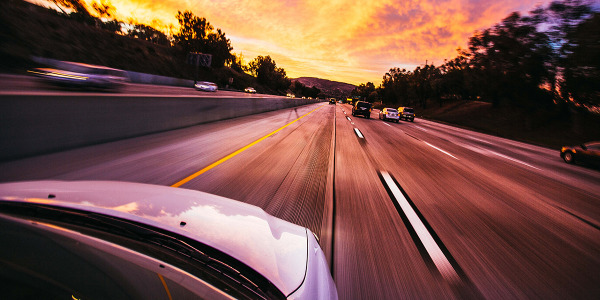 The store’s road hazard and paint-and-fabric protection, which is sold by the dealership’s accessories department, claim penetration rates of 20 and 40 percent, respectively. Baker says only a portion of the gross income achieved from these sales is directed to the finance department. Baker and Bregou are well aware that their combined sales and F&I processes will ruffle some feathers, particularly among longtime F&I vets. But they say they didn’t set out to make a statement about the effectiveness of the traditional F&I office. They simply wanted to match their processes to the way today’s customer wants to buy. Bregou reminds detractors that the hybrid process Driver’s Village installed didn’t necessarily eliminate the F&I department; it simply eliminated the walk to the F&I office while strengthening the dealership’s compliance procedures. He believes this approach has his dealership prepared for the next generation of car buyers and they want to do business.